Malocclusion is the dental term for a bad bite: that is, the way your top and bottom teeth come together. At Southern York Smile Care in Shrewsbury PA,, we can correct malocclusion without resorting to unsightly metal braces. The ideal bite is when the upper teeth are slightly forward of the lower teeth. You have probably heard of overbites and underbites, but the two arches can be misaligned in other ways. Crowded teeth can also cause a bad bite, as well as the opposite situation – teeth that are too far apart. If the misalignment is very slight, there are often no related issues. However, if the malocclusion is moderate to severe, the patient may have difficulty chewing and speaking, and be susceptible to headaches, hearing problems, jaw pain, and gum disease. The domino effect of these troubles can get pretty serious. Chewing difficulty can trigger ulcers, and gum disease increases the risk of stroke and heart disease. These issues can also impact a patient’s emotional well-being and ability to do their job. Malocclusion can be effectively treated with orthodontics. One of the latest advances in orthodontics are clear braces from Invisalign. They look like an athlete’s mouth guard and can be removed at mealtime and when you brush your teeth. Because they are clear, they are not very noticeable when you’re wearing them. Invisalign clear braces are a big step forward in orthodontics. To find out if you are a good candidate for them, call us at Southern York Smile Care to schedule a consultation. 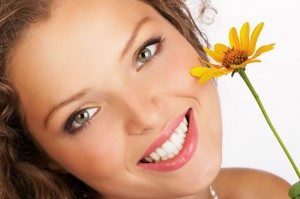 We also provide cosmetic dentistry.